We also offer an excellent Windshield Storage Bag that will protect almost any size shield when it's not on your bike. SwitchBlade Single Holdsters are designed to fit the 2-Up/Chopped/Shorty Windshields. Not compatible with the SwitchBlade Deflector Windshield. N1321 also fits the Spartan® Windshields. Heavy Duty Single Holdsters are designed to fit the Narrow Frame N2220/N2221/N2290 Heavy Duty Windshields. Heavy Duty Triple Holdsters are designed to fit the Wide Frame N2210/N2270/N2230-33 Heavy Duty Windshields. 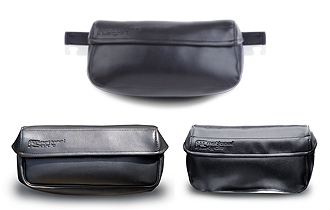 This quality storage bag provides ultimate protection when your SwitchBlade or Spartan Windshield is not on your bike. 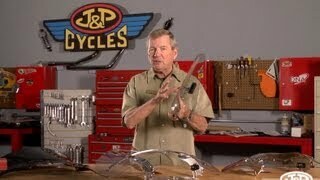 The ample size will also accommodate almost any other windshield as well. NOTE: Holdsters have applications to an extensive range of makes and models but are incompatible with certain bikes because of instrument gauge clearances. Use the SHOP main menu option to select your specific year and make and model to see the Holdster applications and fitments for your bike. 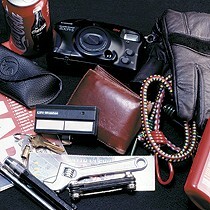 Holdsters™ offer convenient up-front storage for your gloves, sunglasses, brush, garage door opener, tool case, etc. Holdsters allow easy access to so many things. Unlike leather tool kits that tend to dry out and become stiff with use, our bags will stand the test of time. Holdsters that have been mounted to our test bikes for years still look as good as new. Holdsters are available in three sizes: N1321 Single Holdster for SwitchBlade® Windshields, N1310 Triple Holdster for Heavy Duty™ Windshields, and N1320 Single Holdster for Heavy Duty™ Windshields. And when you change windshields or store them away for wind-in-your-face riding, why not give them the best possible protection? 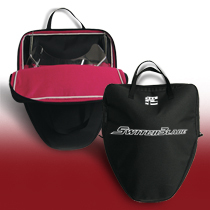 Our N1351 SwitchBlade® brand Windshield Storage Bag offers padded protection for any windshield, large or small. 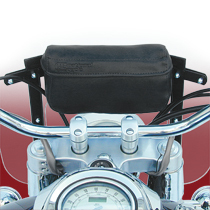 Holdster™ Windshield Bags are easy to mount to the windshield's inner hardware. You'll have it installed in no time and be back on the road – but now with storage for your cell phone, check book, sunglasses, or anything else you need to bring with you. Our zippered Windshield Storage Bag cradles your unmounted windshield in a thick, soft pad of synthetic and natural materials – purpose-built to provide scratch-free protection for your windshield. Our Windshield Storage Bag is made from 600 denier polyester with a durable, waterproof backing. Industrial-strength zippers, oversize zipper pulls and Tek70™ industrial thread ensure lasting quality. None required. Holdsters mount to inside frame of Heavy Duty™ and SwitchBlade® Windshields (depending on model selected). Note: Holdsters do not fit the small SwitchBlade Defector™ Screen.